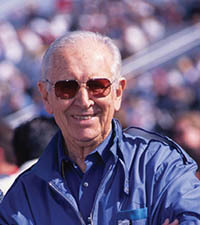 SEMA Hall of Fame - Wally Parks, 1979, NHRA. 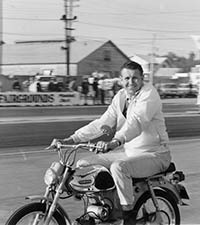 Appropriately lauded as the patriarch of the entire performance industry, Wally was the first editor of Hot Rod magazine and the founder and CEO of the NHRA, which he founded in 1951, and for which he also served on its Board of Directors. 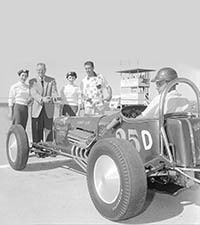 The beginning of hot rodding and drag racing spurred the start of an industry to serve a growing population of passionate, hands-on enthusiasts, the industry today guided by SEMA. As a proponent of safety in drag racing, he also helped organize the Safety Safaris. 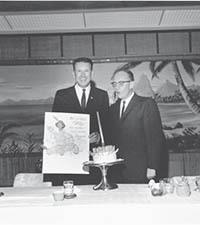 Speaking volumes to his contributions, the NHRA named its museum The Wally Parks NHRA Motorsports Museum, and he was inducted into the International Motorsports Hall of Fame 1992 and the Motorsports Hall of Fame of America in 1993.